Ready for fishing, water sports, or just relaxing. 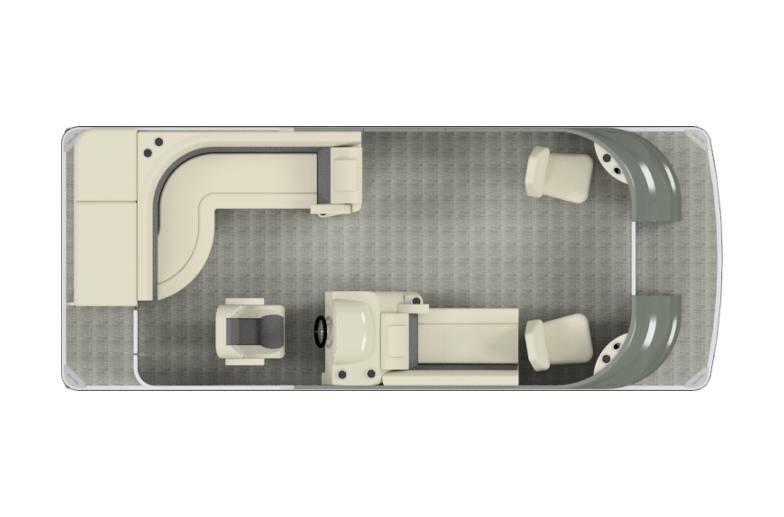 This versatile Silver Wave LP pontoon is loaded with options including lighted cupholders, tilt steering, LED rope courtesy lighting, and fuel water separator. The boat is powered by a Suzuki 115 Hp 4 Stroke and sits on a custom McClain trailer. Photos are for illustration of a 210 Grand Costa LP layout and do not picture this package. This boat is charcoal gray with black acccent.